Omkar Persaud was born with Retinoblastoma, a rare form of cancer that rapidly develops from the immature cells of a retina. 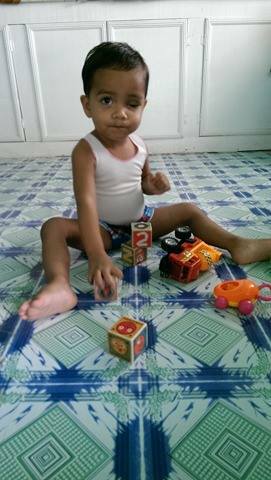 Now at 22 months old, Omkar has since lost his left eye to the disease and he is at a very high risk of losing his right eye unless urgently treated. Not only is he at risk of losing his eye, his life is at risk as well. According to his doctors in Guyana, the treatment required is not currently available within the country; therefore, he must travel overseas for urgent care. He has been accepted for treatment at the Institute for Oncology in Havana, Cuba with an estimate cost of $16,200 USD. Due to limited financial resources, his family cannot afford this cost and has made a request to SHEA Charity for assistance. On November 24, 2016 SHEA Charity accepted the case and collaborated with the Shri Devi Mandir Global Humanitarian Foundation (SDM GHFI) to assist Omkar. Together we have raised the full amount needed in less than 5 days via and online crowdfunding campaign. 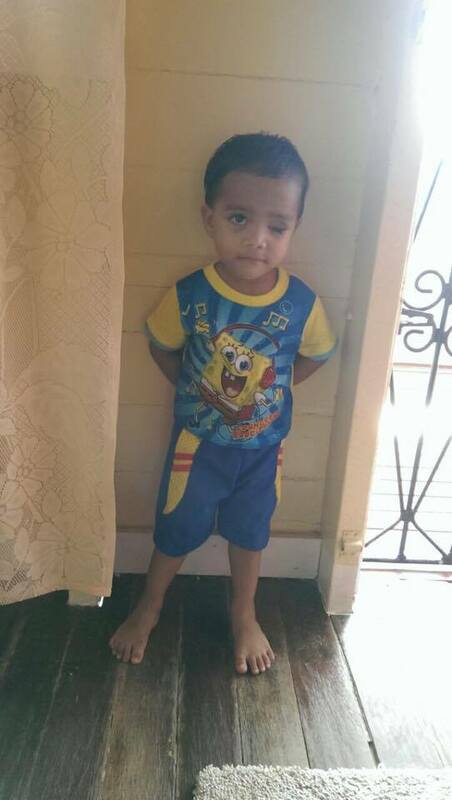 Additionally, Guyana based United Women for Special Children (UWSC), has pledged to sponsor the travel cost from Guyana to Cuba for Omkar and his mother. Omkar departed Guyana on December 15, 2016, and began his treatment course at the INOR Cancer Center in Havana, Cuba, on December 16, 2016. Since arriving in Cuba on December 15, 2016, Omkar completed several test and cancer related treatments. At the completion of the testing phase, his doctors in Cuba discovered that the cancer did not spread to his right eye as previously suspected. However, cancer is still present in the surrounding area of his left eye-socket. The oncologists at INOR Cancer Center in Havana, Cuba recommended 25 sessions of radiation therapy for the child at their facility; however, the family decided that it would be best for the treatment to be done in Guyana where Omkar’s mom can be closer to her other child while Omkar receive treatment. SHEA Charity is committed to funding Omkar's radiation treatment in Guyana, through direct payment to the treatment facility.